Roderick Abbott and Hosuk Lee-Makiyama, European Centre for International Political Economy (ECIPE) co-authored Chapter on “EU and Australia: Europe’s Challenges and Policy Options for Future Trade” for Section 3 in a recently published book “Australia, the European Union and the New Trade Agenda” by the Australia and New Zealand School of Government and the Australian National University (ANU) Centre for European Studies. The book is focused on Australia and the European Union entering a new phase in the bilateral relationship. Section 3 in particular deals with the broad political and economic terms of an Australia–EU agreement. 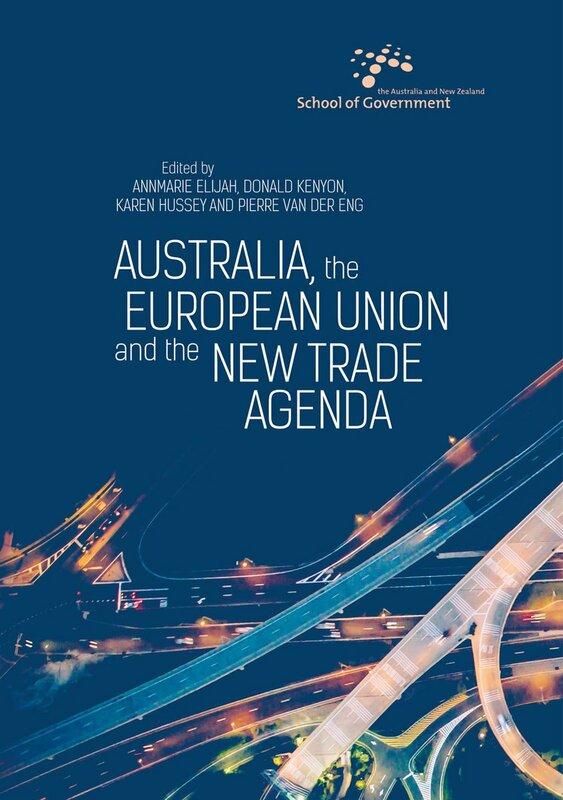 It brings together European and Australian perspectives on what could be gained from a potential agreement and the Abbott and Lee-Makiyama chapter details the reasons why an EU–Australia agreement is also in the interests of the EU. A full text of the chapter can be downloaded HERE. The book is available electronically (free) or in print through ANU Press.